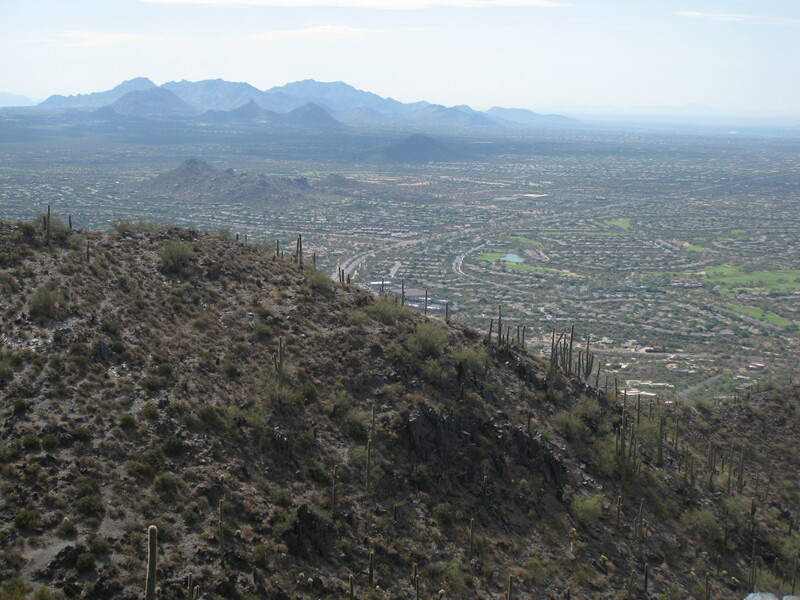 When people come to Phoenix, they are always amazed at how close our hiking is to the city, or rather – in the city – with Camelback Mountain squarely in the middle of central Phoenix, neighboring Piestawa Peak and the Phoenix Mountain Preserve, the McDowell Mountains to the northeast, and South Mountain (you guessed it – to the south). 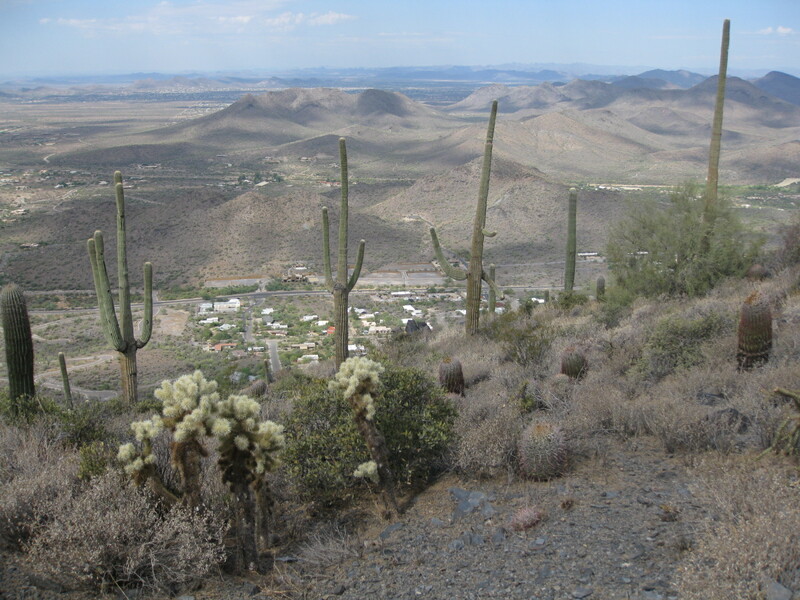 Heading north straight through Phoenix, you will be graced immediately by the quaint town of Cave Creek, and to your right will be Black Mountain looking so innocent and serene. And Black Mountain has a dark sense of humor. You’re hiking along, to what you think is the summit. Then you get there, and realize you’ve gotta another third of the mountain to go. Get a sense of the views, and your breath, and push on up. You will see the most amazing views of the Valley, including Elephant Mountain to the north, as far down as South Mountain. You can even spot University of Phoenix Stadium. To get there – take the 51 North to 101 West. Exit at Cave Creek Road, and take that about 11 miles north (it’ll curve east when you get into the town of Cave Creek). Take a right at School House Road, then left on Military Road and park off the street. Then it’s time to get up that hill!